Dual diagnosis, also know as co-occurring conditions, is a term used to describe the existence of both a mental illness and a substance use disorder. In addition to having an addiction, a person with a dual diagnosis also suffers from a mental health disorder, such as clinical depression, anxiety, Post-Traumatic Stress Disorder (PTSD), or an eating disorder. Dual diagnosis treatment incorporates therapy and behavioral management techniques to address both disorders, in order to achieve successful rehabilitation. Co-occurring disorders almost always interact with each other, increasing in severity and further complicating one another. For example, a veteran suffering from PTSD may use alcohol as a means to cope with the anxiety, flashbacks, and depression that they experience due to the illness. Eventually, the patterned use of alcohol causes the individual to become dependent on the substance, as their body grows accustomed to the presence of alcohol. If only the alcohol addiction is treated, then the unresolved PTSD may cause the person to relapse. Addiction and mental illness are disorders that both affect the brain individually. Various medical professionals have discovered that neurological pathways in the brain become destroyed by the use of chemical substances, causing an acceptance of the numbing or stimulating effects. Over time, these changes can become permanent, resulting in the development of a mental illness. In other instances, a mental illness will exist on its own, but may cause a person to self-medicate and abuse substances in an attempt to relieve their symptoms. Eventually this behavior will lead to the development of addiction, resulting in a dual diagnosis. Dual diagnosis treatment programs at Restore Drug Rehab LA are designed to thoroughly address both illnesses and are tailored to meet the specific needs of each individual client. Eating Disorders and Addiction: Bulimia, anorexia, and other eating disorders often co-occur with addiction. It is common for people with an eating disorder to use drugs to lessen feelings of anxiety and sadness related to their body image or to suppress their appetite, eventually leading to addiction and further malnutrition. The combination of these two disorders is extremely dangerous because the body can quickly become desperately deprived of nutrients. People with overeating disorders may also partake in substance abuse, as both disorders are likened to short-term pleasure seeking behavior. Depression and Addiction: There is a difference between clinical depression, and depression brought on by substance abuse. For example, a heroin addict can have bouts of depression due to the mental imbalance caused by the drug. In other situations, a person may use drugs or alcohol as a method of self-medication when there are insufficient coping skills present. The substance may improve their mood and mask their depression for a short period of time, but ultimately, the depression worsens as the substance wears off and the addiction causes other external factors that negatively impact the individual’s life. Obsessive Compulsive Disorder (OCD) and Addiction: People with OCD cannot escape obsessive thoughts and behaviors that cause them to excessively wash their hands, count items, or even have thoughts of a violent nature. OCD and addiction commonly co-occur together, because the use of drugs helps to temporarily suppress obsessive and compulsive behaviors. Anxiety and Addiction: Anxiety is a condition that causes a person to experience a severe and unusual sense of fear and nervousness related to a particular situation. A person may turn to drugs or alcohol as a means to reduce anxious thoughts and fears. Bipolar Disorder and Addiction: People who suffer from bipolar disorder experience immense fluctuations in energy and concentration, as well as extreme manic episodes and mood swings. Similar to most mental illnesses, people with a bipolar disorder use drugs or alcohol as a means for managing their symptoms. Long-term substance abuse can also trigger bipolar disorder. Schizophrenia and Addiction: Schizophrenia is a psychotic mental health disorder that alters motivational and behavioral thinking, disturbs emotional expression, and causes mental delusions and hallucinations. Marijuana, LSD, amphetamines, and cocaine are the most commonly abused drugs by people with schizophrenia. Post-Traumatic Stress Disorder and Addiction (PTSD): Post-traumatic stress disorder (PTSD) is a condition that causes a person to experience severe anxiety, depression, and terrible flashbacks of a traumatic event, such as sexual abuse or military conflict. It is common for people with this condition to attempt to use alcohol or drugs, such as opiates, to medicate themselves as a means to escape traumatic thoughts and improve their moods. Over time, the abuse of drugs and subsequent addiction causes further problems and exacerbates their PTSD. Why Do Addictions Commonly Co-Occur With Mental Health Disorders? Addiction and other mental disorders cause a person’s brain to function differently. However, many of the co-occurring mental health issues have similar effects on the brain’s function. People who suffer from a dual diagnosis, and people who suffer from just one disorder, both report problems with disinhibition, are often introduced to substances in a social setting, and report using substances in order to combat boredom, anxiety, insomnia, or loneliness. People with co-occurring disorders tend to be more sensitive to the effects of addictive substances. Alcohol and other substances also have a more adverse impact on one’s behavior and mental stability. These individuals are less likely to be able to use alcohol and drugs in moderation without experiencing negative consequences. Co-occurring disorders were originally treated separately and sequentially, meaning that people had to seek help for one problem before pursuing treatment for the other. However, in the last few decades there has been a strong push to recognize that treatment outcomes significantly improve when rehabilitation for mental health problems and addictions are integrated. Psychopharmacology: Medications are frequently used to correct imbalances in a patient’s brain chemistry, in order to allow them to have a chance at a normal life again. Prescribing medications can also help a person overcome withdrawal symptoms and cravings for a particular substance. Addressing a mental illness with the right medications can increase rates and retention of abstinence. Psychotherapy: This approach is used to help patients work through traumatic experiences among other problems with their mental well-being. Psychotherapy involves talk therapy, where a person can identify the behaviors and cravings that can lead to a return to substance abuse. Behavioral Management: This form of dual diagnosis treatment works by helping addicts in recovery form new methods for dealing with life in a manner that is healthy and sustainable. This includes practicing certain scenarios that recovering addicts will likely experience after becoming sober, and the proper ways in which to deal with them. An example of these scenarios would be, seeing an old friend who the addict used to do drugs with. Integrated dual diagnosis treatment at Restore Center LA, begins with building a case management team, consisting of both substance abuse and mental health professionals. Once a client becomes engaged in our treatment services, our staff uses motivational approaches to help them recognize the substance abuse problem and instill the desire to change. 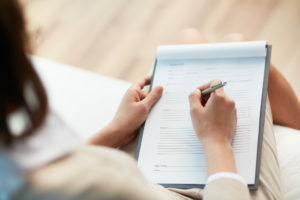 When a client expresses the desire to change, therapists will employ cognitive behavioral therapy techniques to teach them the necessary skills for achieving abstinence. Clients are taught how to change their thought and behavioral patterns in relation to their addiction. Dual diagnosis recovery is a long process, which often requires a person to construct an entirely new life. Treatment programs at Restore Drug Rehab focus on providing clients with access to rehabilitation groups and therapies as a substitute for their old habits, relationships, and activities. Community-based rehabilitation also provides social services, such as supported housing and employment. Another powerful vehicle for Restore clients in dual diagnosis treatment, is attending peer-oriented groups, such as Alcoholics Anonymous. These groups provide clients with both support and a new peer group, which can help them steer clear of the social ties that previously led them to substance abuse to begin with. Dual diagnosis is an intricate and challenging disease to overcome. Fortunately, our elite team of staff at Restore Treatment LA recognize the importance and effectiveness of an integrated approach to treatment. If your loved one is living with both a mental illness and a substance use disorder, do not let them suffer any longer. Contact one of our professionals at Restore Treatment Center today to learn how we can help your loved one turn their life around.